LIKE and SHARE our posts for a chance to win our 12 Days of Christmas Amazon Voucher! All of the small print for our Festive Facebook competition is below! This promotion is in no way sponsored, endorsed or administered by, or associated with Amazon UK Services Ltd. You are providing your information to The Insurance Emporium only. 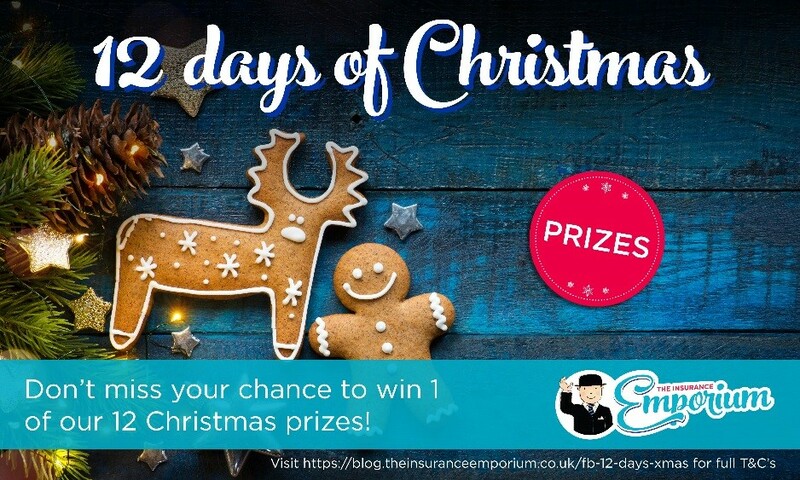 By entering this competition you consent to The Insurance Emporium contacting you for marketing purposes. Closing times for entries (in date order): 4:00pm on 13/12/2017, 4:00pm on 14/12/2017, 4:00pm on 15/12/2017, 4:00pm on 16/12/2017, 4:00pm on 17/12/2017, 4:00pm on 18/12/2017, 4:00pm on 19/12/2017, 4:00pm on 20/12/2017, 4:00pm on 21/12/2017, 4:00pm on 22/12/2017, 4:00pm on 23/12/2017, 4:00pm on 24/12/2017. Entries are limited to one entry per Facebook account per day. No cash alternatives will be offered. The winner will be selected at the discretion of the Marketing Department at The Equine and Livestock Company Limited. All entrants must Like AND Share for a chance of winning. The winners will be notified by being tagged in the comments. The winners will be notified within 48 hours of the closing time for that day. The winners in-between 13th-23rd Dec will receive an Amazon voucher worth £5.The winner on the 24/12/2017 will receive an Amazon voucher worth £10. Each winner must accept and confirm contact and delivery details within 1 week of being notified. Failure of the winner to accept and confirm by this time will result in a replacement winner being selected. The prize will be sent over email as an egift card within 48 hours of acceptance. The Insurance Emporium cannot take responsibility for prizes delivered to spam folders, so please check your inbox settings. The judge’s decision is final and no correspondence will be entered into. Draw is open to UK residents aged 18 years or over. Employees of The Equine and Livestock Insurance Company Limited and their families are not allowed to enter. Winners may be required to participate in some form of publicity as deemed appropriate by The Equine and Livestock Company Limited.